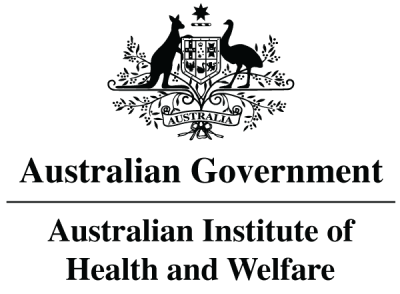 The Australian Institute of Health & Welfare (AIHW) have released the Australian Mothers and Babies 2016 report and it is disappointing to see that the national caesarean rate continues to rise and is well outside the World Health Organisation recommendations of between 10%-15%. This data provides an overview of mothers and babies, maternal demographics, the antenatal period, labour and birth, and baby outcomes for 2016. 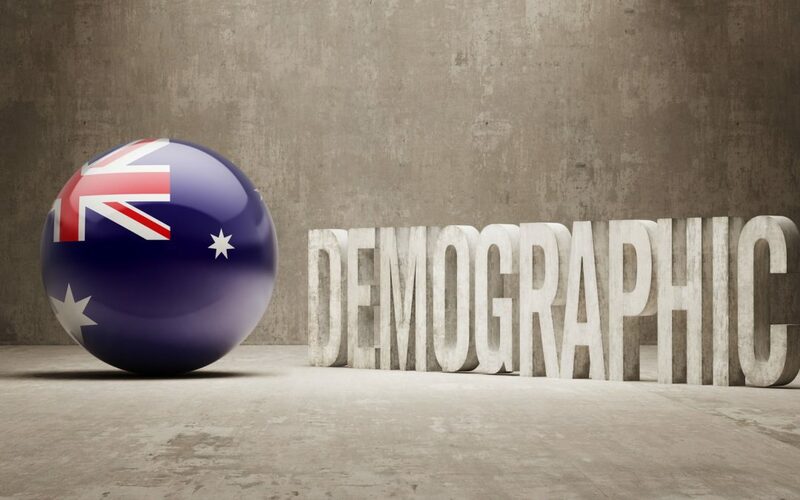 I have picked out the main statistics that were of interest to me, but have also included the full report at the end of this page for anyone who is interested in seeing each demographic broken down more specifically. How many babies were born? In 2016, 310,247 women gave birth in Australia – an increase of 12% since 2006 (277,440 women). The rate of women giving birth has fluctuated between 2006 and 2016, with a rate of 62 per 1,000 women of reproductive age (15 – 44 years) in 2016. The rate has declined from a peak of 66 per 1,000 women in 2007. The average age of all women who gave birth continues to rise and was 30.5 in 2016, compared with 29.8 in 2006. The average age was slightly higher, at 31 years in 2016. More babies are being born – there were 314,814 babies born in 2016 – an increase of 12% since 2006. In all, 312,683 were live births and 2,107 (less than 1%) were stillbirths. Baby boys slightly outnumber baby girls with 51% of males versus 49% of females. Gestational age and birth weight are the biggest predictors of perinatal death. 742 neonatal deaths, a rate of 2 deaths per 1,000 live births. For gestational age, rates were highest among babies born at 20-27 weeks gestation (674 per 1,000 births) and lowest among babies born at term(37-41 weeks) (1 per 1,000 births). For birthweight, rates were highest among extremely low birthweight babies (less than 1,000 grams) (673 per 1,000 births) and lowest among babies with a birthweight of 2,5000 grams or higher (2 per 1,000 births). In 2016, there were 9 perinatal deaths for every 1,000 births, a total of 2,849 perinatal deaths. 742 neonatal deaths, a rate of 2 neonatal deaths per 1,000 live births. For gestational age, rates were highest among babies born 20-27 weeks gestation (674 per 1,000 births) and lowest among babies born at term (37-41 weeks) (1 per 1,000 births). For birthweight, rates were highest among extremely low birthweight babies (less than 1,000 grams) (673 per 1,000 births) and lowest among babies with a birthweight of 2,500 grams or higher (2 per 1,000 births). Almost all births in Australia occur in hospitals, in conventional labour wards. In 2016, 97% (302,463) of mothers gave birth in hospitals, while much smaller proportions gave birth in birth centres (1.8% or 5,640), at home (0.3% or 905) or in other settings including births occurring before arrival at hospital (0.4% or 1,237 mothers). Regardless of place of birth, almost all babies were live born (98% or more). one in 25 were underweight. Overall, half of mothers who gave birth in 2016 (48% or 150,274) had a spontaneous labour, around 1 in 3 had an induced labour (31% or 94,651) and 1 in 5 had no labour onset (21% or 65,136). The report identified that young mothers (under 20) were more likely to have spontaneous labour, and mothers 40 years and over were least likely to have spontaneous labour. There were changes between 2006 and 2016 in the type of labour onset – a decrease in spontaneous labour (from 57% to 48%) and corresponding increases for the induction of labour (from 25% to 31%) and no labour onset (from 18% to 21%). Mothers were more likely to have an instrumental birth as their maternal age increased. Most vaginal births (81%) were non-instrumental. 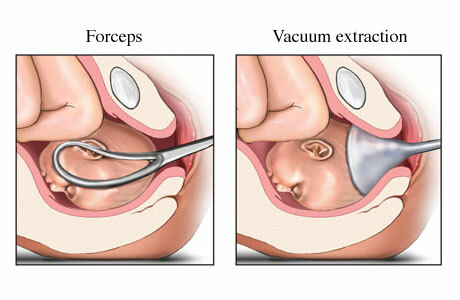 When instrumental delivery was required, vacuum extraction was more commonly used than forceps (11% and 8%, respectively). In 2016, 66% (205,364) had a vaginal birth and 34% (104,839) had a caesarean. 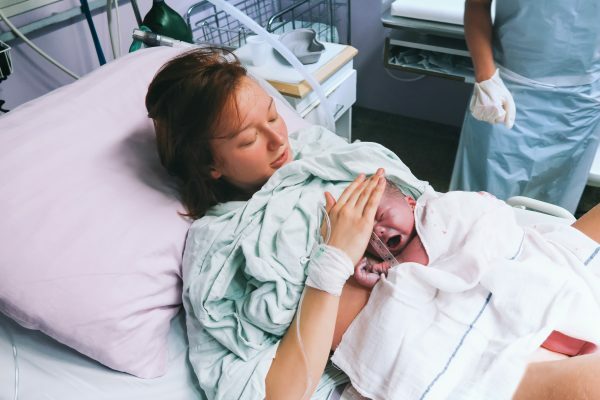 Mothers who had a caesarean section include all mothers who had no labour onset, as well as some mothers who required a caesarean section after labour started. Caesarean section rates increased with age, but differed little by remoteness and SES. Mothers aged 40 and over were almost 3 times as likely to deliver by caesarean section as teenage mothers (53% and 18%). 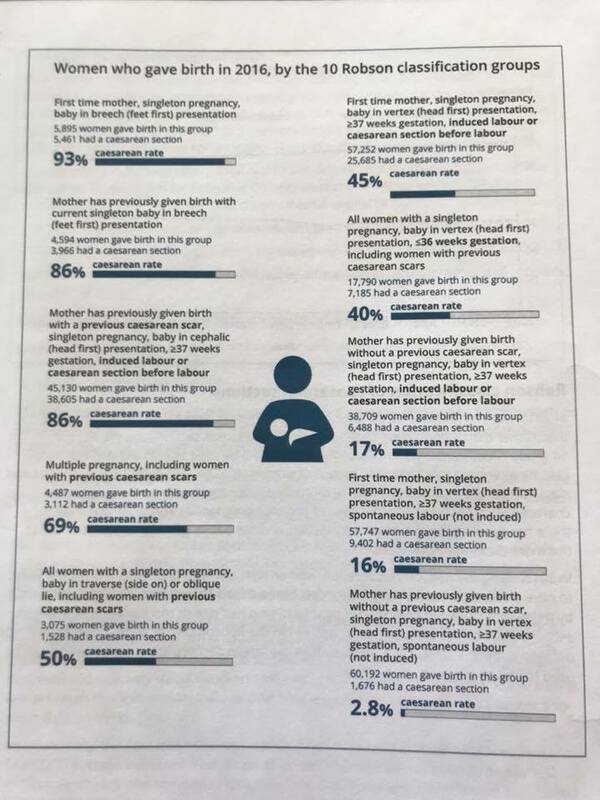 The overall rate of “primary” caesarean section was 24% (that is, caesarean sections to mothers with no previous history of caesarean sections) this rate was higher for first time mothers (34%) and lower for mothers who had previously given birth (11%). The vast majority (86%) of mothers who had had a previous caesarean section had a repeat caesarean section, while the remainder had a vaginal birth (10.7% had a non-instrumental vaginal birth and almost 3.5% had an instrumental vaginal birth). Internationally, the caesarean section rate has been increasing in most OECD countries. The OECD average increased from a rate of 20 per 100 live births in 2000 to 34 per 100 in 2014. Australia’s rate remained higher than the OECD average over this time and ranked 24th out of 31 OECD countries in 2014 with a rate of 35 per 100 live births (caesarean section rates are ranked from lowest to highest). The rate was lowest in Iceland (15 per 100 live births) and highest in Turkey (51 per 100 live births) (OECD 2017). Of the 244,925 mothers who had labour in 2016, around 4 in 5 received pain relief (78%). The most common types were nitrous oxide (inhaled) (55%), followed by regional analgesic (36%) and systemic opioids (17%). Mothers who did not receive pain relief were more likely to be older, to have given birth before, to be Indigenous, and to live in the lowest SES areas or more remote areas, compared with those who received pain relief. In 2016, the average gestational age for all babies was 38.6 weeks, with the vast majority (91%) born at term (37 – 41 weeks). Average gestational age varied by birth status – 38.6 weeks for liveborn babies, and considerably lower for stillborn babies (26.8 weeks). In 2016, the mean birth weight of all babies was 3,322 grams. The average was slightly higher for liveborn babies (3,336 grams), with the vast majority of these born in the normal birthweight range (92% or 288,176); 6.5% (20,430) were low birthweight, and a small proportion were high birthweight (1.3% or 3,965). In 2016, the vast majority of babies (94% or 297,007) were in a vertex presentation at birth, in which the top of the head is facing down the birthing canal. around 1 in 100 babies (1.3% or 4,007) were in other presentations including face, brow, shoulder / transverse and compound presentations. In 2016, multiple births were almost 6 times as likely to be in non-vertex presentation as singletons (31% compared with 5%, respectively). The proportion was greater for higher-order multiples (triplets and higher) (40%) than for twins (30%). Non-vertex presentation increased with birth order for multiple births, from 23% among babies who were born first to 38% among subsequent babies.